There are moments in all of our lives when we realize, maybe not in the moment, but at some point surrounding a moment, we realize that our life path has taken a drastic turn. My family had it’s fair share of those moments. It has taken alot of thought and contemplation for me to tell you my family’s story of our challenges over the years. I never wanted to be a part of a pity party, or have people say, “poor thing”. I feel compelled to tell you our story because it’s unique to us, and we overcame all of the obstacles thrown in our path and are much stronger today because we learned to adapt and move on. I see this life story as a two or three parter. The blog post would just become much too long if I told you our story in one single post. And by the way these stories do have the consent of my kids. We talked about this at length before I knew I could go ahead and share what we have conquered. So here we go…………………………..
My husband, Tom, and I have 5 kids together. Four of mine from a previous marriage; two girls and two boys, and Tom’s son. Three of the kids still live at home and are working full-time, and going to school. All very responsible young adults, and all in the process of finding their life paths. 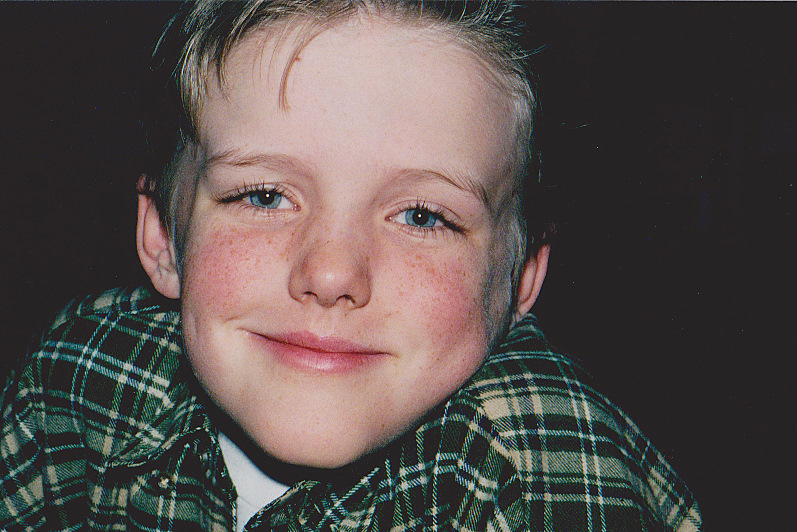 This part of our story is about our youngest son, Zachary. Zach will be turning 21 this year, and we will be celebrating his footsteps into adulthood. We are ever so thankful that this celebration is coming, it will truly be a milestone for Zach. Zachary has diabetes, Type I, you may know this as “juvenile diabetes”. He was diagnosed with diabetes at age 6-1/2 in December of 1997, in the middle of his first grade year. He is totally insulin dependent, and relies on a pump system, The Omnipod, to deliver the insulin into his blood stream. There are so many stories I can share surrounding Zach’s diagnosis, and his integration back into his classroom in school. For the moment I just want to say that I am ever so thankful for the staff and adminstrators at his elementary school at that time. They were amazing partners with me in helping Zach to gain the confidence to learn to take care of his diabetic needs at school. I am forever grateful for their patience and understanding. Zach’s diagnosis was an indescribable life path curve. Of course the majority of the change affected Zach, but it also caused changes for the rest of the family. We incorporated some eating changes, mostly for the healthier. We had to learn how to help Zach take care of himself. Everyone learned how to do an injection, and how to treat a low blood sugar. We all had to be aware. The main thing I remember about this time in our family’s life path is the emotion of it all. It was such an exasperating time for a six year old to take shots four times a day, and deal with testing his blood sugar. How could we help him get through his daily medical needs, and still learn to have fun and just be a six year old boy? There were many upsetting days an nights for us all, and most especially for Zach. He was angry about his diabetes for such a long time, and resisted learning how to take good care of himself. I just remember being so incredibly thankful that we had the medications and tools available to us to be good caretakers, and in turn teach Zach to do the same for himself. Zach’s diabetes diagnosis was my first lesson as a parent in learning to stop sweating the small stuff. I was much less irritated when things weren’t perfect around the house, ie. cleaned up and picked up all of the time. I became much more focused on the importance of patience, listening, and showing compassion to all of the kids. We were all in this together, and we were going to get through it together. Little did we know where the next curve in our lives would take us. That’s a story for next time though, so stay tuned. That is one adorable young Zach. Thanks for putting things in perspective. Thanks Gwen, he is an amazing young man. Life’s curves can be scary. Thank you so much for sharing this. You and yours are an inspiration. This truly resonates: “I became much more focused on the importance of patience, listening, and showing compassion to all of the kids.” Those curves have a habit of teaching us things we resisted otherwise. I appreciate you visiting Grandma’s Briefs and look forward to getting to know you better! Thanks so much for your kind words Lisa. This is exactly why I wanted to share our story.